I am an average Pakistani. I work hard for a living. And God Knows that’s not easy. I have many faces. I could be the woman who lives in Korangi, Karachi, and travels to I I Chundrigar road to work in a secretarial capacity in a bank every day in an over-crowded bus. I could be the man who is an industrial labourer in Faisalabad, has 5 kids and not enough money to feed them. I could be the so-called well-to-do marketer working in a multi-national, who has a car with an air-conditioner, a good life style, loans that keep me sleepless at night and growing frustration at the situation in the country. I have heard about the old wine in a new bottle. I have recently heard about a man called “Raja” something being sworn in as Prime Minister. I saw the oath taking ceremony on tv. Why are they calling him Raja Rental exactly? I don’t know. I just pick up cues from the more aware people around me, and then when the Raja topic comes up, I pretend I know a lot about it and say a few things like “He was involved in the $5 billion rental power scam!” As if I have any idea what the details of that are. But you know how it is. Always in your circle there will those know-it-alls who read the newspaper religiously in the morning or watch current affairs’ shows, and they know what they’re talking about. They irritate me because I don’t know much. Anyways they are in a minority. Majority, blissfully ignorant and asleep as it is, rules. Once upon a time I was more aware. No kidding. When things were relatively better in this country. When I did not know the meaning of bad words like “terrorism” and “inflation” and “power cuts”. When I could give a lift to someone without fear of being blown up. When the liberals didn’t hate the religious people so much and vice versa. When traffic was lesser and time was slower. When even the not-so-street-smart could ACTUALLY make a living on the basis of sheer hardwork. When matriculate system was not looked down upon. When Pakistanis could get visas easily. Back then, life was simpler and I was more awake and more aware. Fact remains too much is going on in my life to REALLY worry and think and contemplate about Raja Rental and the likes. It doesn’t matter to me who comes into power. All I wanna know is will it make MY life better or worse? Once upon a time I used to care about the general situation in my country and who ruled. Now, all I care about is making my ends meet. Will CNG get available more regularly? Will fuel prices go down? Will 18 hours of load shedding remain a norm? Will my kids be able to go to a good school? And will that school continue to have bomb threats? Will people start observing the sanctity of the red light at the signal? What will be the price of cooking oil, rice and sugar? Will more jobs be created? Could it be that Karachi and Lahore will one day have under or over ground train service? If I am that Pakistani who has meager means, will the government hospital where my wife is taken for delivery be clean and will the medicines be for free? If I am that Pakistani who lives in Karachi, will the riots ever stop and just in case there is rain in Karachi will the city stop flooding? If I am that Pakistani who is a woman who is discriminated at work or whose illiterate husband beats her up, could Raja Rental make sure that women-friendly legislations fix men right and could he please help educated the people of this country so that the men realize that beating a woman is not acceptable? Could the roads that are under construction since ages finally be constructed? Could there actually be a time when the average Pakistani like me can afford to eat mutton apart from Eid-ul-Adha? Could the police be paid so well that they stop taking bribes? Could the promises be kept? I am an average Pakistani. I work hard for a living. I have chosen blissful slumber. And so, to me it seriously does not matter whether it’s any Rental or Mental who rules me. As long as life becomes more livable for me in this country, may they rule over me for eternity. If not, I will continue to be angry. And do senseless things like break shops and burn busses and light effigies and use curses and basically do NOTHING about anything. And yes, I will hate Raja Rental if he does not keep his part of the deal. Something sadly tells me he will not. Time to go back to sleep. 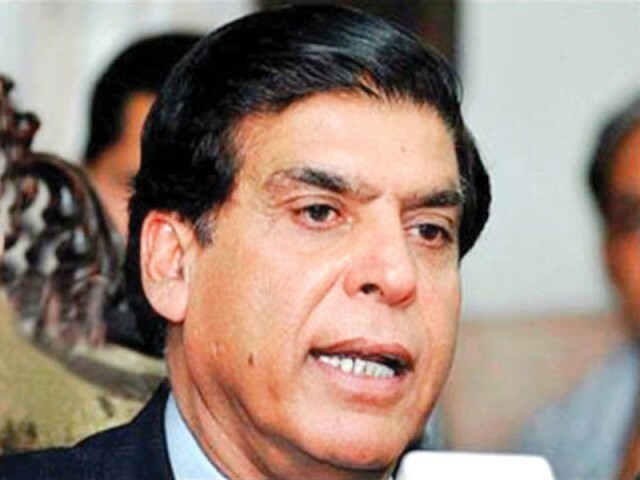 Posted in In The Loop and tagged new PM Pakistan, Raja Pervaiz Ashraf, Raja Rental. Bookmark the permalink.